review of my upcoming kids book Barbed Wire Baseball (writer: marissa Moss, Abrams) .Very small, but a fantastic review. I am extremely honored. 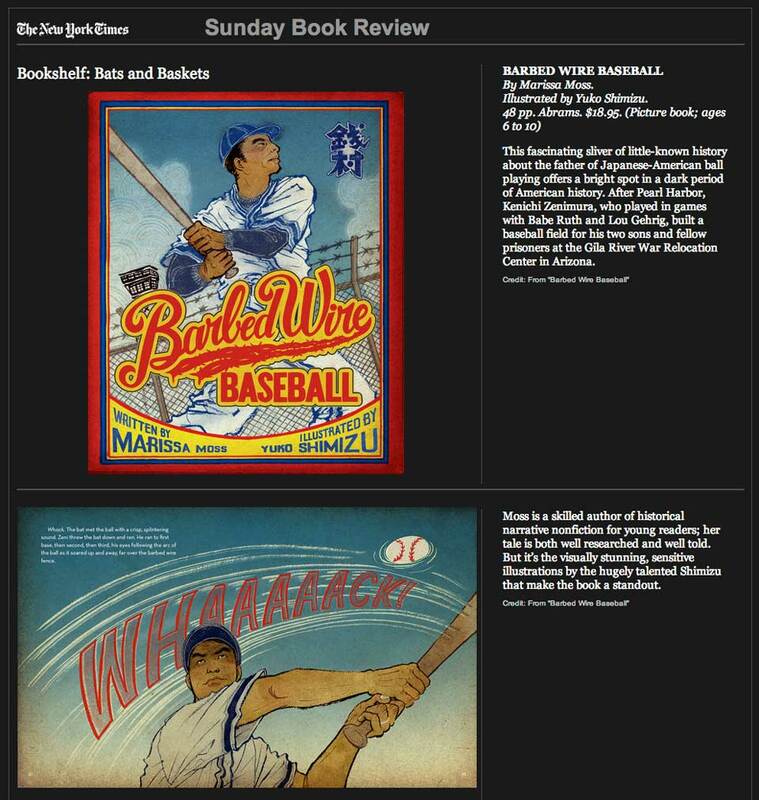 Read the full reviews of upcoming kids books in theme of baseball and basketball Bookshelf: Bats and Baskets here, Slide show here. You can see some of the pages from my book here.